Look what just landed in our field. Isn’t this too cool?? 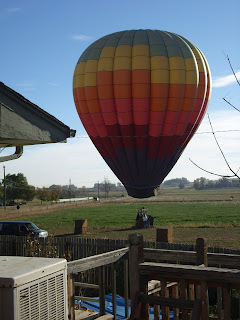 We’ve had balloons land across the street and down a few fields, but never land this close. What fun for a Saturday morning. This entry was posted in Hot air balloon. Bookmark the permalink. I thought about inviting them in for coffee, LOL!